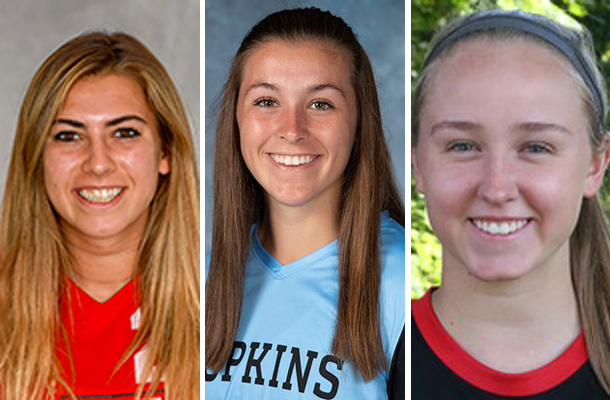 Two former Fox Chapel Area High School girls’ soccer players have continued their dominance in the sport, only now with NCAA Division III teams that are currently ranked in the top-25. At least one other player is on a squad that was among that elite group during the regular season. Taylor Cohen, a 2016 graduate, is a forward junior on the first-ranked Washington University of St. Louis women’s team. The Bears posted a 17-0 record so far this season, and are making their 13th consecutive and 18th overall appearances at the NCAA Division III tournament. The team also won the national championship when Taylor was a freshman. 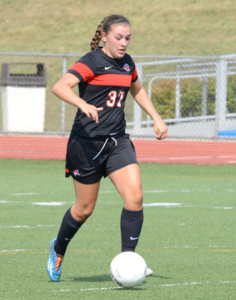 The Foxes’ former player has been a major contributor to the team and has demonstrated her tremendous offensive skills many times by scoring game-winning goals. In fact, Taylor ranks third in WashU single-season school history in game-winning goals. She also ranks fifth in goals, seventh in points, and has been named to all-conference teams all three years. Maggie Coulson, also a junior, plays midfield for eighth-ranked Johns Hopkins University. This year, she added nine goals and three assists to Hopkins’ 10-0 regular season record. 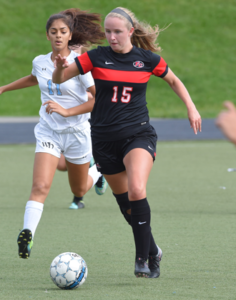 In 2016, she was voted as the Centennial Conference Tournament MVP, and in her first year with the team, the midfielder led all freshmen with five goals and three assists. The Blue Jays are currently 17-2 as they make their way through the 2018 NCAA Division III tournaments. During Taylor and Maggie’s high school senior years, every starter plays or has played on her college team – a rare and remarkable occurrence. Additionally, Kate Livingston, a 2018 graduate, is making her presence known on the Denison University’s women’s team. The Big Red won the 2018 North Coast Atlantic Conference Championship, and Kate’s skills played a large role in their success. In the 19th minute of the championship match, Katie produced a header off of a corner kick and scored the team’s first goal in their 2-0 win. The Big Red have earned 10 NCAC titles, but this was the program’s first outright conference championship since 2009. “This group of players was altogether at Fox Chapel Area for the 2015 season,” recalls head coach Peter Torres. “That year, the team ended with an 18-4 record and finished the section undefeated. 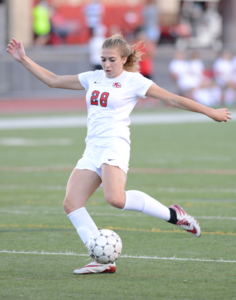 They advanced to the WPIAL semifinals, but lost to the eventual state champions in a penalty shootout.